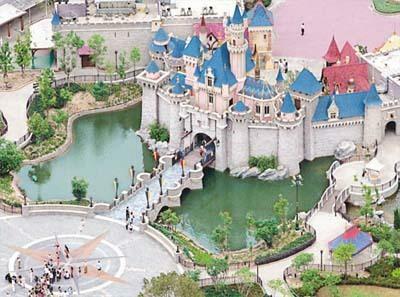 Kong Disneyland is a must-see because of its special attractions and the inimitable sense of Chinese culture. 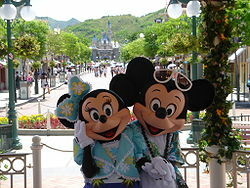 Walking into Hong Kong Disneyland, you feel you are in a wonderland. Accompanied by Mickey Mouse and other Disney friends, you start a fantastic and magical journey. With unique scenic spots and Disney Theme Hotels, you can go escape from the real world, and make your dreams come true. The availability of delicious Chinese and Asian food is also a lure for many visitors and Disney fans. Aladdin and smell the flavor of Donald Duck soup. Watch carefully and don't forget you are a part of the program; otherwise you might be sprinkled by the soup! The most fantastic place must be The Golden Mickeys at Disney's Storybook Theater. Adapting all the Disney classics into a 25-minute musical drama, mixing acrobatics and special effects, this will make you stop blinking. In the theater, Tarzan swings quickly on the rigging, just like the fan on the ceiling. When The Little Mermaid Ariel appears, the whole theater is submerged by bubbles descending from the ceiling; you really feel that you are at sea. Mulan practicing martial arts and traditional flag dances show the combination of eastern and western culture. Leave the fairytale wonderland perfectly contented; you can step into Tomorrowland. Screaming in Space Mountain, you will have no time to appreciate the sparkling stars because of the exciting roller coaster. In Buzz Lightyear Astro Blasters, you can fly in your space capsule and fight against the aliens with your space gun. If you are weary of the breathtaking attractions, Orbitron is a good choice for you to fly above Tomorrowland and take a rest. After space traveling, take a break at Starliner Diner and Comet Cafe to enjoy some 'earth' cuisine that you can not taste in outer space. Also, Space Traders and Star Command Suppliers will gives you a chance to do some space shopping. Don't forget to watch the Grand Parade and Firework Play after a whole day's play! 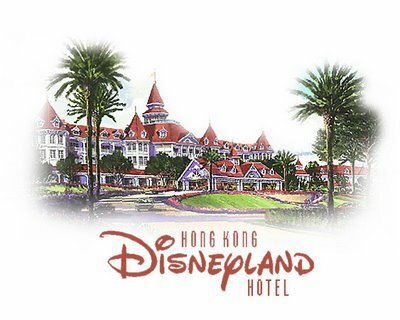 Come to Hong Kong Disneyland, you can find the golden past and the glorious future! Hong Kong Disneyland has a "Public Transport Interchange" (a people-mover that sounds similar to Disney World's TTC Transportation Center.) Visitors can drive or take taxis or public buses to the TTC; a ferry service is planned. 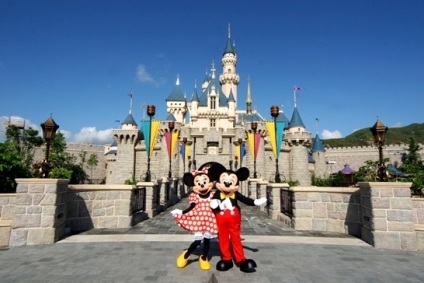 Meanwhile, Guests at a Disneyland Hong Kong resort can take a free shuttle to the Public Transport Interchange. Peak days include weekends, Hong Kong public holidays, summer school holidays in July and August and the Golden Week holidays in May and October.